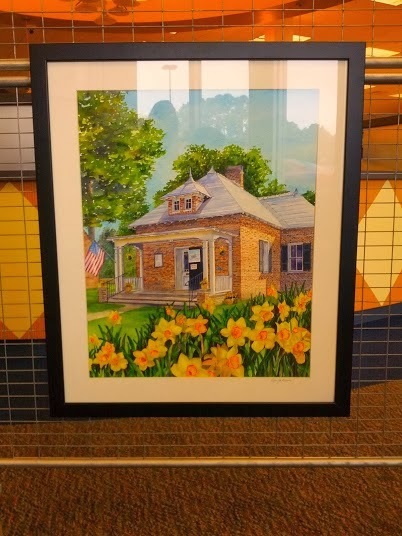 On display at the local library up at the Gloucester Courthouse location is the latest art prints submitted for the 2014 Daffodil Festival. Our personal favorite is right here on top. But that is just us. The submissions are incredible and we are not looking to take anything away from any of the other artists by any means. 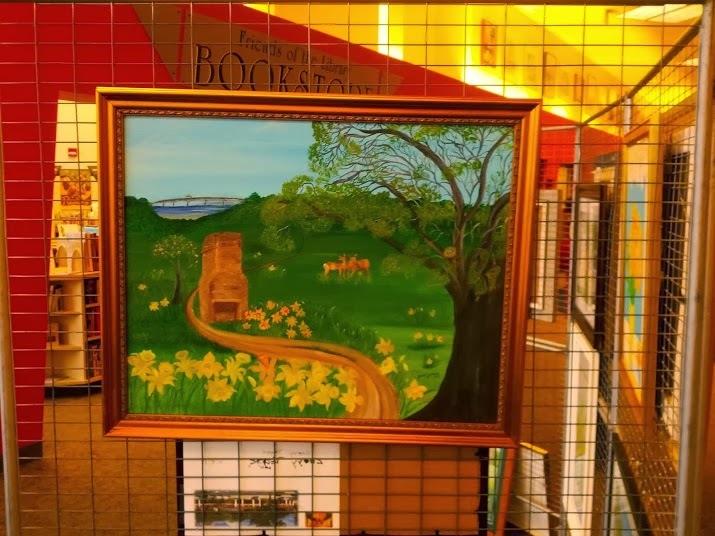 We highly recommend that if you have the time, make sure you make a trip to the library and view these works of art. Though we like this print, the Coleman bridge in the background is facing the wrong way causing an issue for the viewer who is aware of it. Now it is only a representation and a good one, but we can not get over that one issue. This standing chimney is Powhatan's chimney for those who do not know this already. This print is incredible and one of our favorites. The only issue we have is that the hot air balloons are distracting. In the picture it looks nice, but close up, we thought it was a little much. 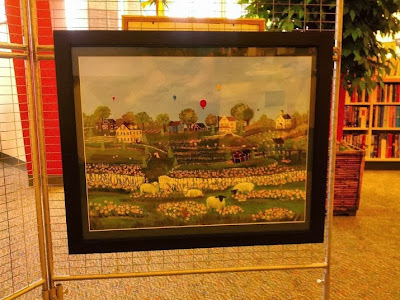 It's a wonderful folk art piece that shows tremendous talent. This print is a staff favorite. Only issue seen with this print is that it does not emphasis Daffodils enough. 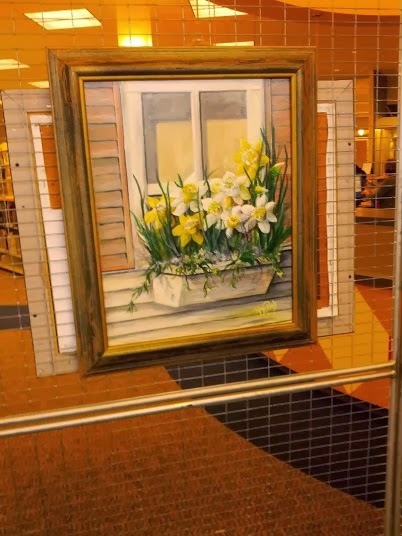 This is one you need to see in person to appreciate the detail that went into the painting. 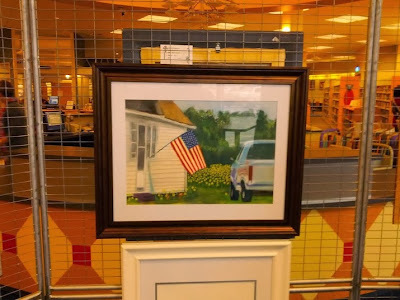 Another great piece where the artist showed wonderful talent. The only issue seen with this one is that it does not emphasis Gloucester. If it's only about Daffodil's then this one is at the top of this short list. 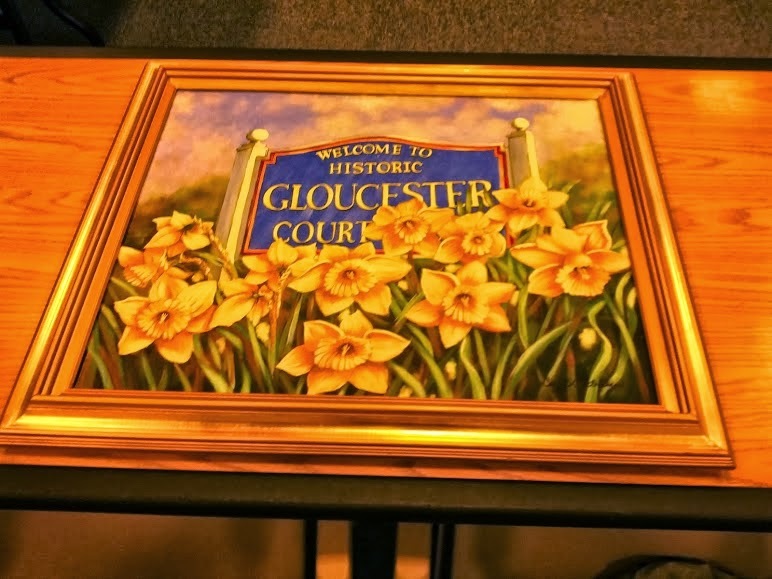 Part of the objective in our own view is the dual emphasis on both Daffodil's and Gloucester County. This is a wonderful piece. 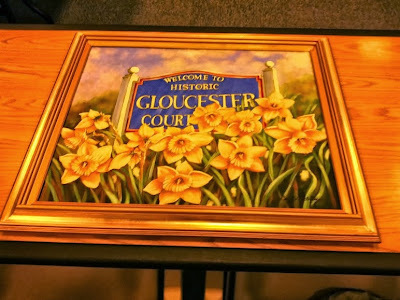 It emphasizes both Gloucester County as well as Daffodil's and Gloucester's historical courthouse circle area. It was well thought out and executed. Now these are not the only pictures at the library. These are only a sampling of what is there. 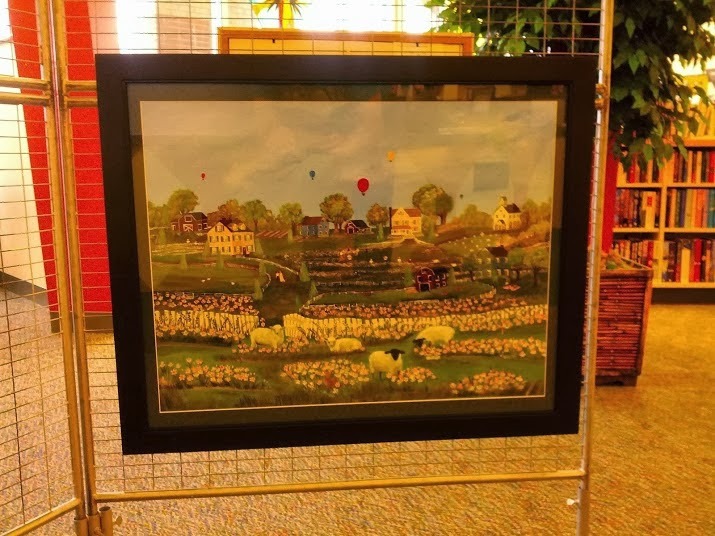 To see the entire collection, please visit the library to view all the artwork. You will find it well worth your time if you are one who appreciates art.